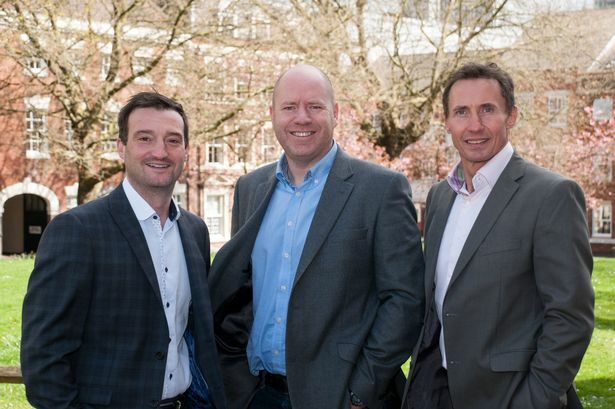 A Birmingham-based civil and structural engineering consultancy founded just three years ago is on target to hit the £2 million turnover this year. Steve Wedge, co-founder of Copeland Wedge Associates, also told the Post he expected to have a 30-strong payroll at the agency&apos;s Jewellery Quarter base by the summer. The number would represent a significant rise on two years ago when the company employed fewer than a dozen staff and it currently has 24 staff. The consultancy is currently working on key projects around the city including residential developments at the Kettleworks and One Hagley Road for Seven Capital and two custody suites for West Midlands Police in Oldbury and Perry Barr. Mr Wedge said: "Our current order book stretches into 2015 and we&apos;re securing new orders all the time, certainly enough to keep us going for the next 12 months. "We&apos;re forecasting £2 million turnover for this year, following £770,000 in year one and £1.3 million last year. "We have been looking for a new office as we&apos;ll need one if this growth continues. We are determined to stay here in the Jewellery Quarter but ideally we want 3,500 sq ft on a single floor plate and there isn&apos;t much of that size here. "There are a few upcoming developments and we&apos;re in discussions with the developers behind them." Copeland Wedge, which was founded in 2011 by Mr Wedge, Dave Copeland and Jim O&apos;Donnell, is also undergoing a rebrand with a new website and identity. The consultancy, which will now be known as CWA, provides civil and structural design consultancy services to a wide range of sectors including leisure, education, health and industrial. Other major clients include Willmott Dixon, Balfour Beatty, Prologis and IM Properties. The rebranding, which will be supported by a forthcoming marketing compaign, has been led by London-based designer Steve Edge whose previous clients include Cartier, Accurist and Christian Dior.